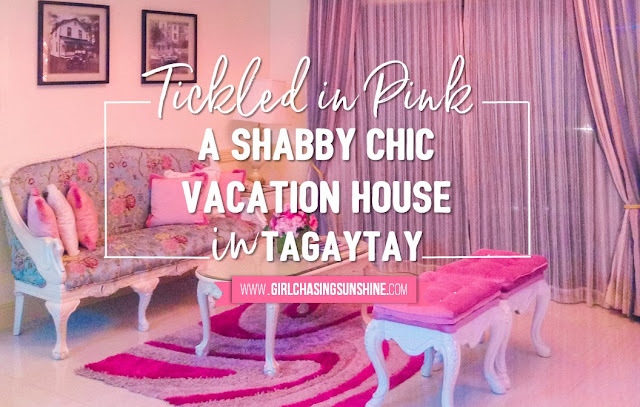 If you are like me who’s obsessed with anything pink and pretty, I’m sure this vacation home in Tagaytay would be like a fairy tale to you. Long before I even got a chance to stay at Tagaytay Highlands, I’ve always thought that the houses and available accommodation inside this exclusive community are all log cabin types. 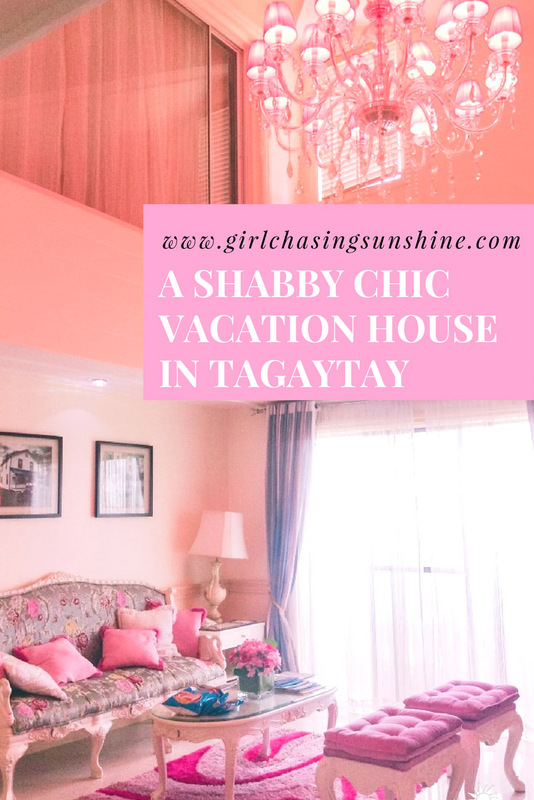 When I finally got a chance to stay in one of the villas, I was surprised to see a cozy home drenched in pink and shabby chic goodness! 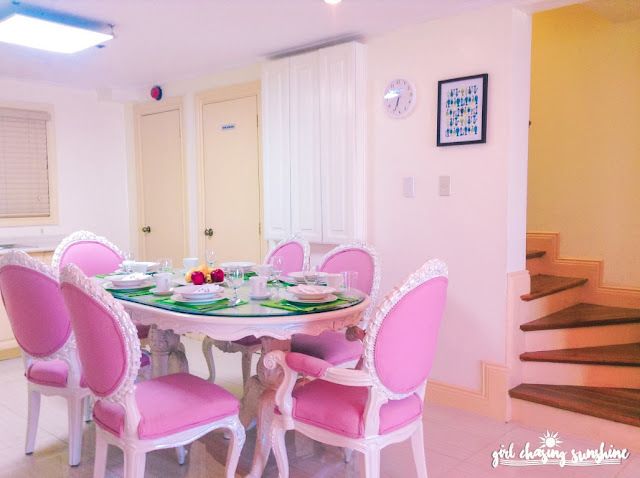 The villa is one of the available accommodations inside the Grindelwald House of Tagaytay Highlands’ Pinecrest Village. 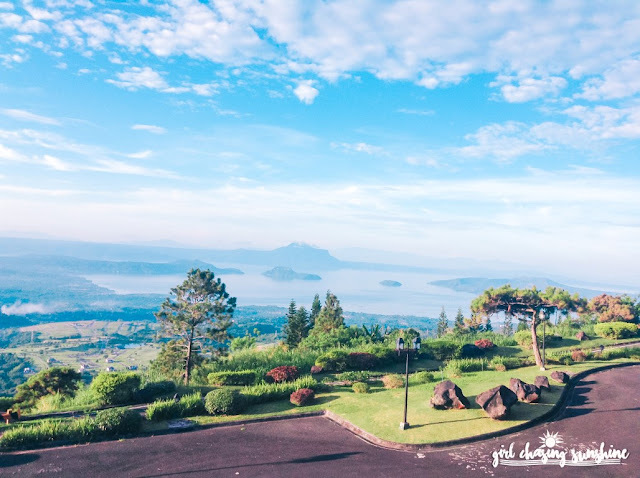 Pinecrest Village is actually just one of the many themed residential communities inside Tagaytay Highlands. 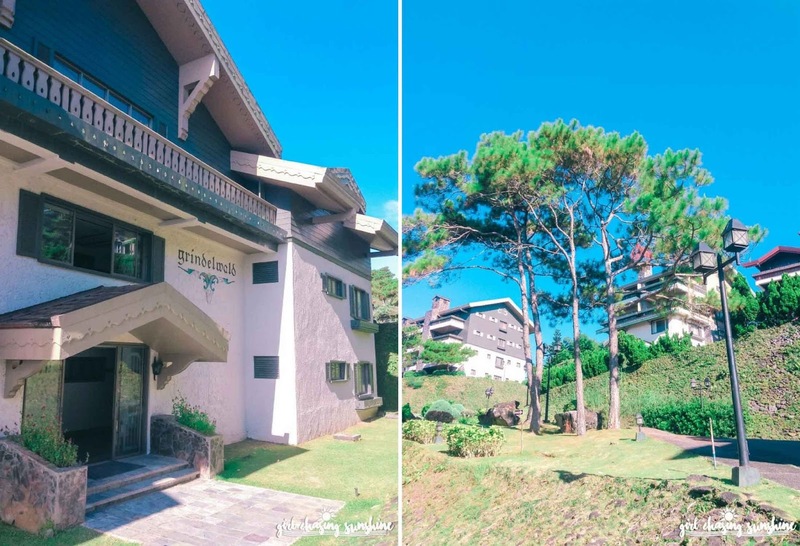 Inside this community, the charming natural landscape is made even more beautiful with Swiss-Alpine architecture. The homes here are all sophisticated, with a touch of European elegance. 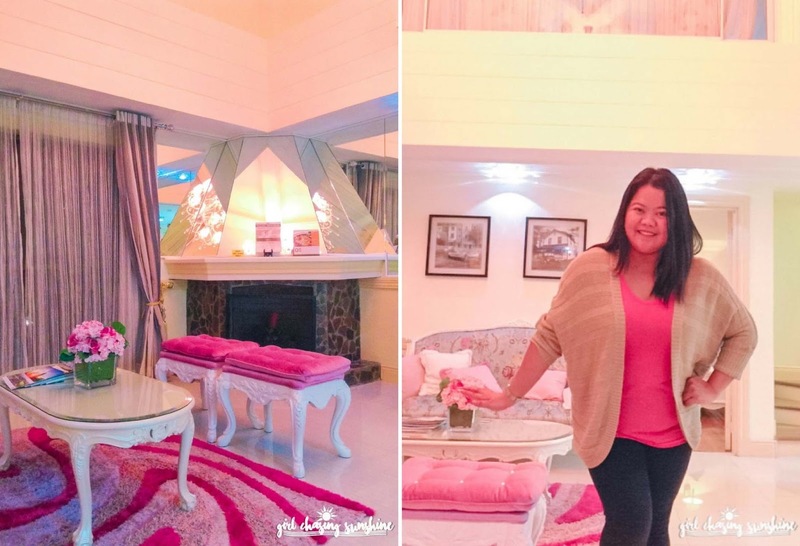 I went here for a teambuilding and I really had no expectations about the room but imagine my surprise when we opened the villa assigned to our group and this pretty home welcomed us! The two-storey villa has three bedrooms, one bathroom upstairs, two bathrooms on the first floor, a spacious living room with a fireplace, a dining room, and a kitchen. 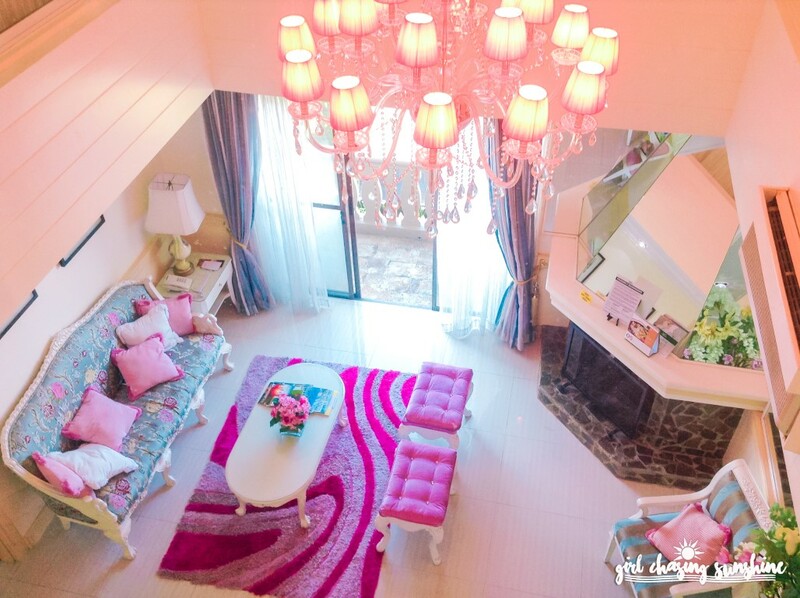 Ideally, six people can stay in the villa but with the space, I bet we can even make it double! 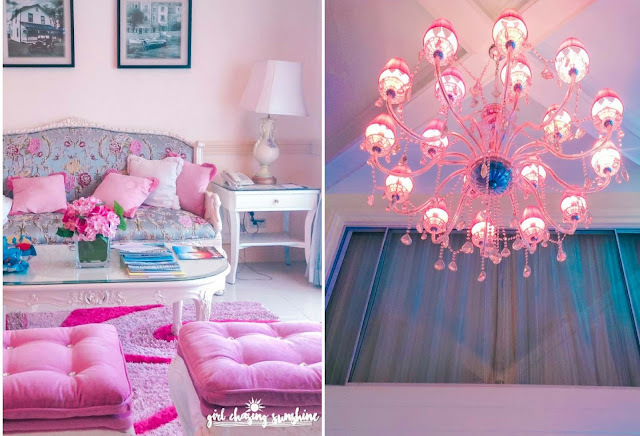 Staying in this wonderland is every girl’s dream staycation—the interior is beautiful, the vibe is cozy, and every corner is Instagram-worthy! The whole place is just screaming PRETTY IN PINK! 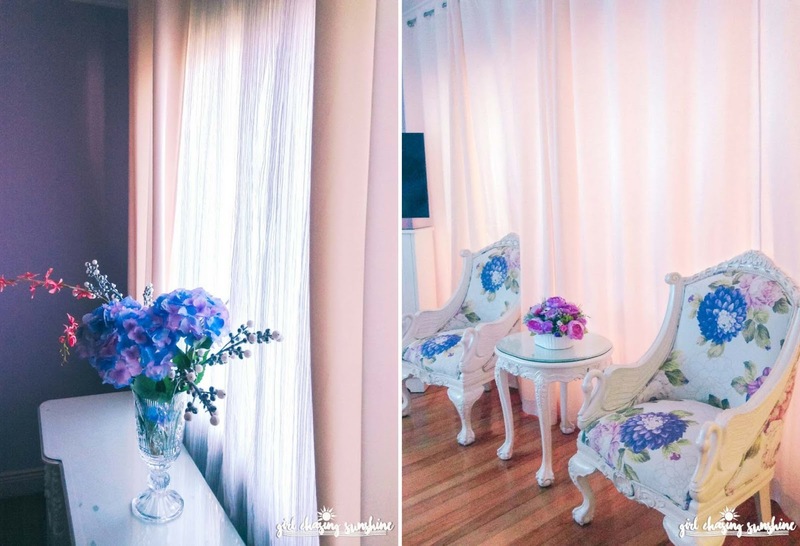 I can tell that the furniture and the décor were all perfectly picked to ensure that the ambiance is elegant and dainty. 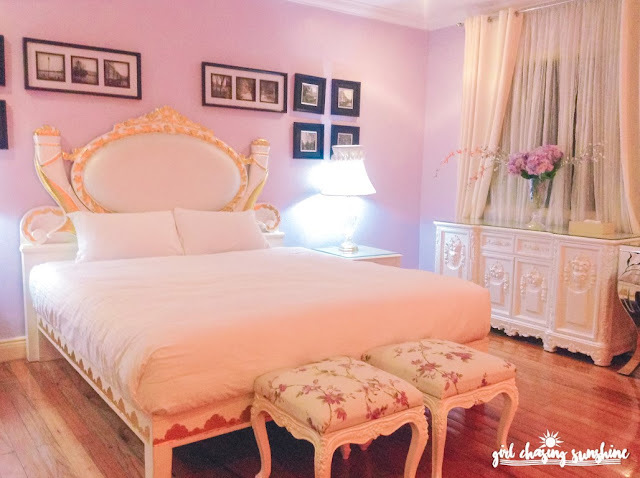 The floral patterns and design can only be associated with the words ‘royale’ and ‘chic.’ There is wi-fi inside the villa and complete kitchen and dining utensils. 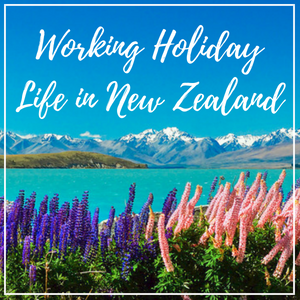 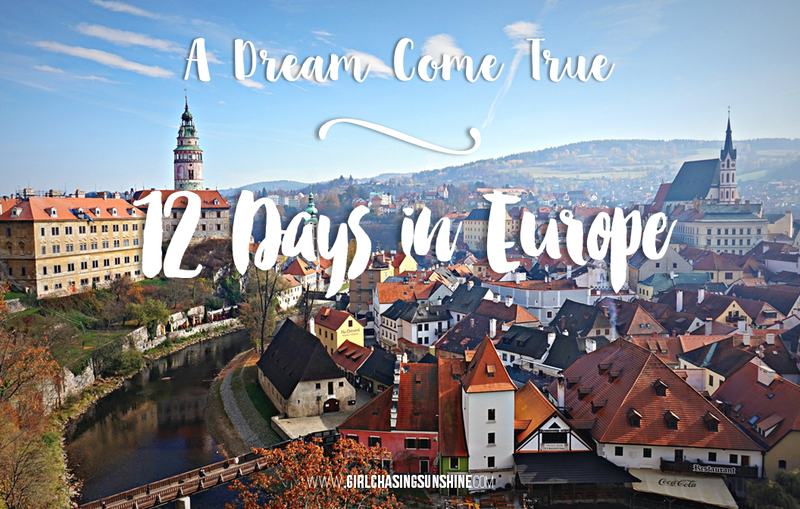 Having a staycation here definitely made me feel like a princess! 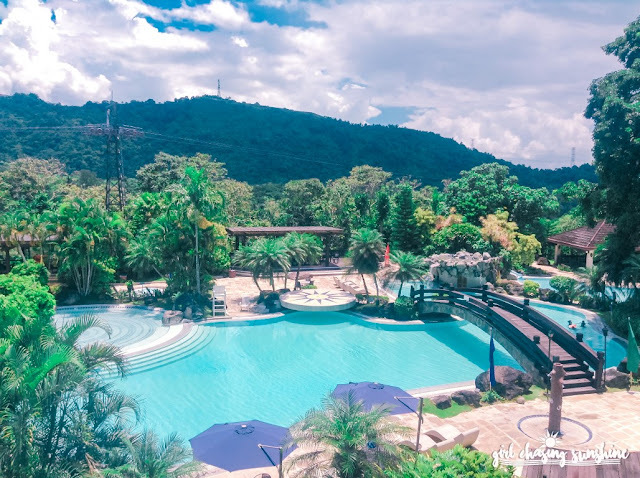 The bonus is that Tagaytay Highlands boast of a variety of amenities and activities that guest can enjoy. As Tagaytay Highlands is for members only, anyone who wants to stay must have an endorsement of a member. 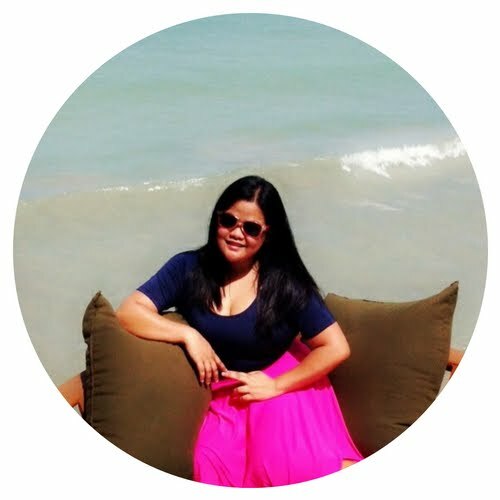 Advance arrangement is required. 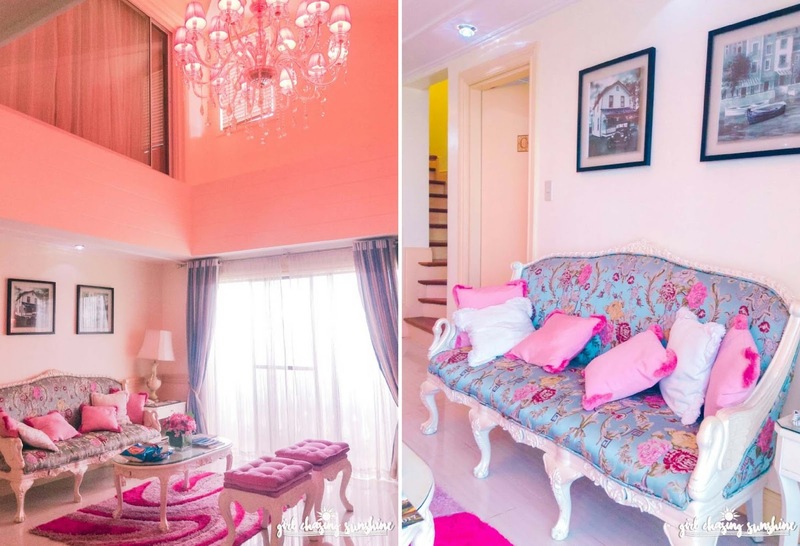 Overnight rates for three-bedroom units (such as this shabby chic pink house), good for six persons, at the Pinecrest Village starts at Php14,000.